You will find details of local organisations below, listed in alphabetic order. Email the webmaster if you wish your organisation to be added to this page or if you have any changes that need to be made to your existing entry. Ascot District Day Centre. The Chandler Centre, Bagshot Road, Sunninghill, Ascot SL5 9PD. Charity number 269845. Contact Jackie Mann, Day Centre Manager or Maggie Cavanagh, Assistant Manager, on 01344 624923 for more information or if you would like to arrange a trial visit. The Ascot Project is a local charity that is focused on improving the quality of life of older people by organizing weekly shopping trips so that local older people are able to visit larger shopping centres. The Ascot Project became a registered charity number 1146466 in 2012. The Ascot project was conceived in 2001 as a joint project between Social Services and the NHS to consider how they might more effectively support older people in the Ascot area. When this project came to an end it was taken over by a group of local residents who saw not only a need but an opportunity to make a difference for older people in our community. To learn more about it please visit The Ascot Project website. Ascot Volunteer Bureau is a small local charity, staffed entirely by volunteers, which provides transport for elderly local residents to and from their GP, dentist or hospital appointments. See the website to discover more about the service and volunteering opportunities. Bookings for use of the service should be made as far in advance as possible. Ben – Support for Life. Lynwood Village is an award-winning retirement village with superb facilities, including a restaurant, bar, coffee shop, hair salon, beauty spa and swimming pool. It is situated on the same site as Lynwood Care Centre, which provides life-enhancing care for people of all ages. Both the Village and Care Centre are run by Ben (www.ben.org.uk), a not-for-profit organisation that partners with the automotive industry to provide support for life to its people and their families. Broomfield Park Road Fund. Private road. Charters Leisure Centre. The Centre is an exclusive dual use facility and offers a variety of leisure pursuits from coaching courses, children’s term time and holiday activities, children’s parties, conference facilities, 50 station gym, special event packages and much more. Charters Youth & Community Centre. Charters Youth Centre (situated on Charters School site) offers a range of activities and opportunities for young people from Year 7 up to Year 9. The Youth Service team provides an after-school club for Year 7 and 8 and an Esteem group for young people who are not yet ready for Universal sessions due to low confidence. In addition to sports, games, arts and crafts and cooking, the youth team engage on a number of issues affecting young people. It also supports young people by building their self-esteem, dealing with anger management and helping with life choices. It offers trips out, holiday activities and an off-site activity programme through the Achieving for Children (AFC) Royal Borough of Windsor and Maidenhead (RBWM) Youth Service Programme. Heather Drive Residents Assocation. HDRA co-ordinates repairs to Heather Drive (a private road) together with related lighting, signs, drainage and insurance, all of which are paid for by the residents. It also promotes a neighbourly spirit, and keeps watch out for building development which could be detrimental. MAD Academy for Babies and Toddlers (3 months – 4 years). High-energy free-spirited classes in music and dance combined with carefully structured learning. Gives babies and toddlers the opportunity to develop motor skills, physical co-ordination and confidence, as well as giving them the chance to explore different rhythms, musical instruments and musical styles. 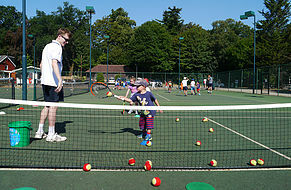 Classes are held in Sunningdale, North Ascot and Windsor. Magnolia House GP Surgery in Station Road. Practice opening hours Mon-Fri 8am-6.30pm. Extended hours: Tuesday evenings 6.30-7.30pm (Doctor and Nurse); Saturday 8.30-11.30am (Nurse only). Note that Saturday surgeries occur three times per month. People to Places – tel. 01628 587921. The work of the charity touches the lives of many thousands of people, providing a lifeline for its members, supplementing the core dial-a-ride service with trips around the country. Additionally, the service extends to providing essential transport for a whole range of local organisations, clubs and groups for the disabled, residential and nursing homes, workshops, day centres based in East Berkshire, and the local Shopmobility service. Signal – Support service for unpaid carers started up in April 2016, replacing Berkshire Carers Service. The Society for the Protection of Ascot and Environs (SPAE) is the leading planning watchdog seeking to maintain the attractive neighbourhoods and extensive Green Belt areas that local residents have been lucky enough to inherit. SPAE coverage includes Sunningdale. SPAE recognises the need for new development and the renewal of housing stock but believes both can, and should, be done in sympathy with the local landscape. To this end, SPAE’s volunteers, acting apolitically, monitor all local planning applications and consult with developers, submitting objections or observations where necessary to planning authorities. Spotlights Musical Theatre Group: An amateur musical theatre group who perform musicals and light operas. Annual production (in July) and various concerts. New members always welcome. Contact Sheila Knight on 01784 483203. Sunningdale & Ascot Camera Club. Enthusiastic amateur photographers who enjoy meeting to share their interest in taking pictures. All types of still photography including digital. Various exhibitions & competitions in interesting programme. We meet on the first Thursday of the month at All Saints Church Hall, London Road, Ascot, Berks SL5 8DQ. Contact : Janet Lesley 01344 890268.
refreshments. Visitors are always welcome at the club to watch bowling or join in one of the open days. gutty ball, over a mixture of hills, heath and woodland not previously considered suitable for golf course construction. Sunningdale’s New Course was designed by Colt and Morrison in 1923 on heathland including small copses and broom. The Club has always felt part of the local community, enjoying the support of local residents over the course of its long history. Sunningdale has hosted many prestigious golf tournaments, including the British Masters, Walker Cup, Women’s British Open and Senior British Open and the unique iconic Sunningdale Foursomes. Sunningdale Park – Northcote House combines timeless elegance and historic grandeur, creating a venue with an unmistakable ‘sparkle’. 1st Sunningdale Scout Group is an active group for boys and girls, comprising three sections: Beavers, Cubs and Scouts. They meet weekly during term time. The sections undertake a wide range of activities to help them explore the world in which they live, encouraging them to discover their own abilities, develop their creative talents, keep fit and enjoy outdoor pursuits. The Group is always on the look-out for suitable adult leaders to join in the fun. Sunningdale Women’s Institute. The Women’s Institute (WI) was formed in 1915 to revitalise rural communities and encourage women to become more involved in food production. Since then, its aims have broadened and the WI is now the largest voluntary women’s organisation in the UK. Sunningdale WI was formed in 1920 and is proud to be more than 95 years old. There is a lively agenda with excellent speakers and regular outings. Meetings take place on the second Wednesday of each month in the WI Hall at Broomhall Lane recreation ground. Village Venues coordinates many of the local activities in Sunningdale. 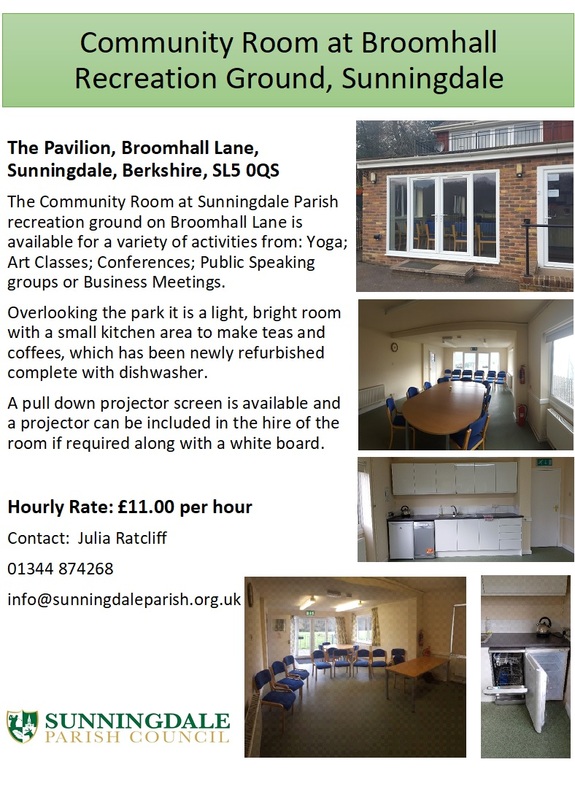 Currently, activities take place in Sunningdale Village Hall and Holy Trinity Church, both situated in Church Road, as well as Holy Trinity School and the Hope Centre.